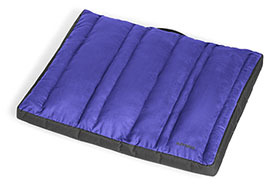 Restcycle foam won’t flatten out and is water and odoresistant. 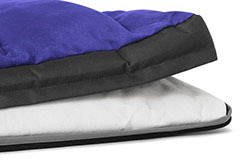 The removable, machine washable cover is made with recycled materials, plus an integrated pillow topper (stuffed with recycled synthetic down) enhances nesting comfort. Secure fasteners, wash in cold water on the gentle. using a mild detergent. TAir or tumble dry low.